Andreas Vollenweider (b. October 4, 1953) is a Swiss musician. His music, very dynamic and colorful, has been categorized as World Music, Jazz, New Age or even Classical; two of his albums were number 1 on the Billboard charts simultaneously in the categories Classical, Jazz, Pop and Crossover for many weeks. 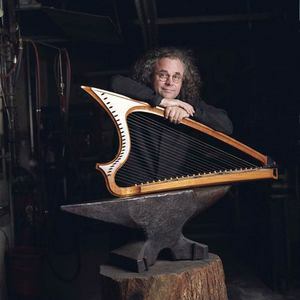 His primary instrument is an electrically modified harp of his own design, but he also plays a wide variety of instruments from around the world, including the Chinese guzheng. His albums feature many musicians performing his compositions with him, ranging from simple solos to suites for orchestra and soloists. His music is mostly instrumental but he has occasionally forayed into vocal music as well.